Demolition service seems like a simple task, but to keep the environment and the people around safe, hiring an experienced and professional service is highly needed. Demolition is a big job. To accomplish the task effectively, they may require some time. If you are searching for demolition service in Melbourne Australia, don’t afraid. To help you with demolition there are plenty of companies. The only thing you need to do is search and go for best service provider. It is so easy to search and find out companies through the internet. You can get multiple companies which are ready to fulfill your business needs. You can also determine the right with the help of reviews. Make sure before settle with the company and must go through the reputable track record. When you need demolition consider these constraints. Most of the people believe that demolition is risk to the environment. But it doesn’t, actually getting demolition done to a high risk building will be a huge responsible thing that you can do for your community. During the procedure, it may destroy unwanted trees and raw materials but you have to get rid of risk building that could fall and cause harm to the people. Let’s assume your building is badly stricken with mould and other asbestos, then you have to probably go for demolition. Before it harmsanyone, you must resort it in an earlier stage.So, better to avoid this and get that act together. 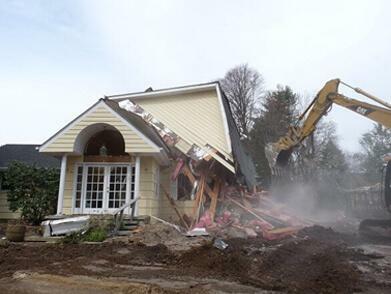 Demolish the hazardous building. Planning to start a farm, but only affords for a wooden area? And you need those cleared trees. For this kind of need there are number of demolition companies melbourne who are happy to cater their services and you may get surprised with the cost effective price they are going to charge you. The demolition team won’t complete with fixing up with demolition building, they will also clean up the mess afterwards. Depending on the size of thebuilding they take time. Are you worrying about wasting all the raw material used in building construction? Then don’t afraid. Recycling is the best solution for it. Coming to steel can be melted and formed again and wood from the building can be turned into paper. About this you need to talk with demolition team.It will help to improve the environment. Ensure on work out payment plans for what you need. Some companies will offer financing and some or not, Just check and know about the service properly. As early as possible you get these professionals to the site, that much faster you can get clear space and sell your firm or building. Many of the demolition experts are waiting to offer their services and decide carefully. Enjoy the amazing results by following the above mentioned constraints.